We’d love your help. 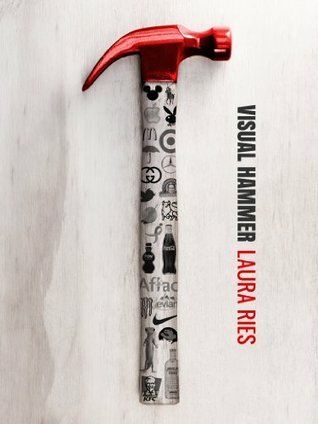 Let us know what’s wrong with this preview of Visual Hammer by Laura Ries. For decades, marketing has been dominated by a verbal approach. Marketing plans, marketing slogans, marketing messages are all word-oriented with visuals used mostly for “decoration” purposes. Visual Hammer is the first book to document the superiority of a visual approach to marketing. Some examples: The Marlboro cowboy, the Coca-Cola contour bottle, the Corona lime and ma For decades, marketing has been dominated by a verbal approach. Marketing plans, marketing slogans, marketing messages are all word-oriented with visuals used mostly for “decoration” purposes. Visual Hammer is the first book to document the superiority of a visual approach to marketing. Some examples: The Marlboro cowboy, the Coca-Cola contour bottle, the Corona lime and many, many others. But here’s the twist. A visual hammer is not enough. What a brand also needs is a verbal nail. “Masculinity” in the case of the Marlboro cowboy. “The real thing” in the case of Coke’s contour bottle, “Mexican beer” in the case of the Corona lime. It’s the two working together, a verbal nail and a visual hammer, that can create a powerful brand. Consider what the pink ribbon has done for Nancy Brinker. In 1982, Ms. Brinker started a foundation to fight breast cancer in memory of her sister, Susan G. Komen. Since then, the foundation has raised nearly $2 billion and is the world’s-largest non-profit source of money to combat breast cancer. Then there’s Aflac, the company that brought us the duck. In 2000, the first year the duck was advertised, sales went up 29%. The second year, 28%. The third year, 18%. Color often plays a role in creating memorable visual hammers. Tiffany’s blue box, the Masters green jacket, Nexium’s purple pill, Christian Louboutin’s red soles. So can the product itself. The watchband of a Rolex, the grille of a Rolls-Royce, the Absolut bottle, the Stella Artois glass, the polo player on a Ralph Lauren shirt. Symbols can act as hammers to visualize “invisible” products. Travelers’ red umbrella, Wells Fargo’s stagecoach, Geico’s gecko. Company founders can also act as hammers. Colonel Sanders, Papa John, Frank Perdue, Orville Redenbacher, Paul Newman. In spite of these and many other examples, why do so many marketing people work exclusively with words when the real power is with visuals? Well, words are important, too. The objective of a marketing program is to "own a word in the mind.” Therefore it’s important to find the right word as well as the right visual. The interplay between pictures and words is like a hammer and a nail. If the objective is to nail two pieces of wood together, why fool around with a hammer? Why not just put the wood together with a nail? That's the problem of marketing. Your most useful tool is a visual hammer, but the nail comes first. Unless you pick the right nail, all the creative hammers in the world are not going to help very much. Visual Hammer is a book that will help you nail your brand into consumers’ minds. To ask other readers questions about Visual Hammer, please sign up. This was highly recommended from a couple of business magazines I read and Ries is well known in the field. That being said, I was very disappointed about 58 pages in when she claims that Nike was the first athletic shoe! Really? Nike, the brand that didn't exist until the early 70's? That's news to brands like Converse, Adidas, Puma etc. I could accept the mistake from a lesser known "marketing" expert, but she's supposed to be 2nd generation royalty in the field (Google her dad). It took me ou This was highly recommended from a couple of business magazines I read and Ries is well known in the field. That being said, I was very disappointed about 58 pages in when she claims that Nike was the first athletic shoe! Really? Nike, the brand that didn't exist until the early 70's? That's news to brands like Converse, Adidas, Puma etc. This book reads like a person standing in front of a lecture hall reading through blurbs on what other brands have done and transitions with the opinions on what the author would have done better instead. This book seemed shallow, hastily written, but it does contain some good marketing wisdom, even if I seemed to consistently disagree with about 10% of it. 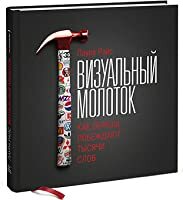 Pazarlama, marka/kimlik oluşturma ve logo tasarımı konularını işleyen güzel bir kitap. Oldukça yararlı buldum ve hiç sıkılmadım. Çok akıcı, hap niyetine bilgilerle dolu.